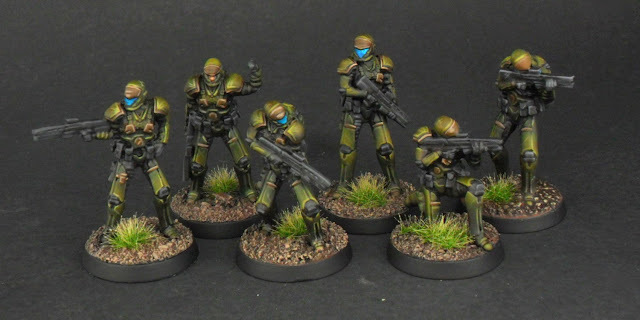 Looking for alternative models for Halo Ground command I stumble with the website Clear horizon miniatures. In their store I found the range of 28 mm hell divers, these models are almost perfect alternative for your ODST models in your halo games. With a good quality and several options I recommend to you to check this range.